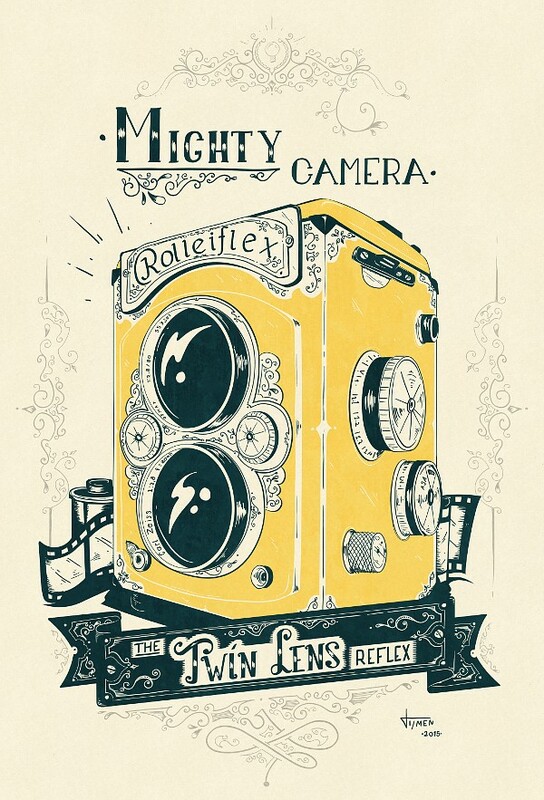 Berlin-based illustrator Tijmen Ploeger created another brilliant piece of work with the theme of old-fashioned cameras. This time it involves an impression of a Rolleiflex Twin-Lens Reflex from the beginning of the 20th century. Be sure to follow up here on HAI or his website for more upcoming works.